The experience is the destination, and each one opens up a new chapter of the Antarctic: Islands covered by glaciers, deep fjords, gigantic wildlife colonies, towering icebergs and ice-covered waterways – the wondrous spectacles visited by the BREMEN and the HANSEATIC will be determined by the weather and ice, with such decisions only being made on the day. Falkland Islands: Just as moving as the history of the British overseas territory, the abundant bird life becomes apparent as soon as the Zodiac takes you to the coastline. With more than 60 different species including rock hopper penguins, Magellanic penguins and albatrosses, the island is a paradise for ornithologists. During natural history walks along the coast, your experts will provide fascinating information about the head-high tussock grass and the Victorian houses in Stanley. South Georgia: Days of breathtaking expedition experiences lie ahead when glaciated mountain sum­mits and deep fjords on the horizon signal your approach to this unique animal paradise. Flexible, spontaneous and impressive: the Zodiacs are used several times a day to provide you with truly extraordinary wildlife spectacles. For example, standing with the experts in front of a gigantic colony of king penguins. The island is home to almost 200,000 animals inhabiting the steep slopes and coasts – such as Salisbury Plain, which is covered by birds begging for food, or the Gold Harbour beach where fur seals and elephant seals sleep through your visit. The biologists, geologists or glaciologists accompanying you will intensify your unique natural experiences with surprising details about the masses of animals. In the former Grytviken whaling station, the grave of Sir Ernest Shackleton recalls the bravery and adventure of times gone by. Making a heroic effort, he once saved his team after the ship was forced to spend winter in the pack ice. It is an example of the lifelines of the polar explorers you will cross on every expedition. 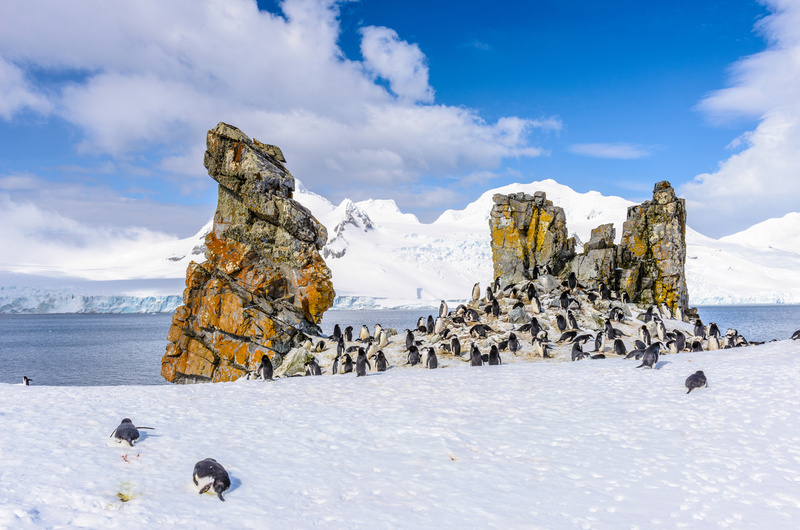 South Orkney Islands: For researchers, the Antarctic is an enormous natural laboratory – and that includes this largely glaciated island group. You will also gain an insight into the everyday lives of polar researchers when, weather permitting, you will be taken in the Zodiacs to visit the Argentinian Orcadas research station (subject to authorisation). Enjoy the pure fascination of the drifting icebergs which, with any luck, you will see off Signy Island, for example. The bizarre blocks that have broken off the shelf ice and their huge archways shimmer a mystical shade of blue in the icy polar light. And your expedition ship will pass close by – simply breathtaking. Antarctic Sound and Weddell Sea: Unforgettable moments are guaranteed when crossing the Antarctic Sound and the water is suddenly parted by the fluke of a majestic whale. The deck becomes your box seat for unique natural spectacles in one of the Antarctic’s most impressive passages. Every day on board passes in the spirit of daring pioneers such as Otto Nordenskjöld, who once endured great hardship to explore this remote region. You will feel how impressive complete silence can be in the Weddell Sea. It is home to breathtaking icebergs, some of which are as tall as a house and covered by adelie penguins, and dense pack ice. The ice crunches and cracks around the ship’s reinforced bow. How far into this region can the BREMEN or the HANSEATIC actually make it? For example, in 1903, the Nordenskjöld expedition was forced to wait ten months to be rescued on the volcanic Paulet Island. Today, the island is home to countless penguins and, like Devil Island, makes for a very lively spectacle. South Shetland Islands: Towering basalt rocks, bizarre volcanic rock, black volcanic beaches and fossils up to 150 million years old: the archaic beauty of the Antarctic’s largest island group is also a history book of geology – and Antarctic exploration. After being forced to abandon their ship in the ice, Shackleton’s men spent the winter on the rocky Elephant Island. In good weather, we can set out in smaller boats to reach destinations such as Half Moon Island. Walk across vast fields of snow and enjoy beautiful views of the rugged neighbouring Livingston Island, the home of majestic elephant seals. 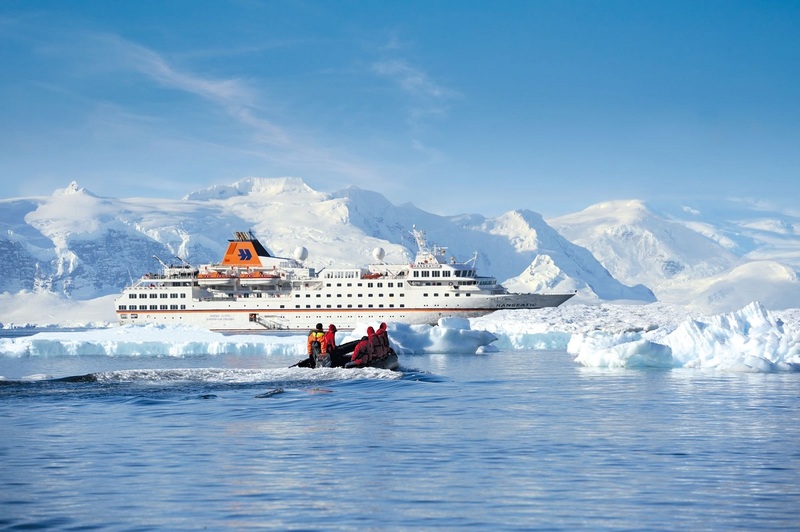 Your impressions will be just as unforgettable when the BREMEN or the HANSEATIC calls at Deception Island. Thanks to their shallow draught, the ships can sail directly into the flooded caldera of the extinct volcano. Flanked by rock faces up to 50 m/164 ft in height, the black sand in front of you gives off steam in testament to a past eruption – and you in the heart of the scenery. Antarctic Peninsula and offshore islands: Where weather and ice dictate the route, only genuine expedition ships such as the BREMEN and the HANSEATIC can guarantee you the full Antarctic experience: enjoy unforgettable moments when, for example, you first set foot on the Antarctic mainland near to Paradise Bay. Snow-capped summits surround the bay, where icebergs the size of houses drift and glaciers tower hundreds of metres above. The imposing glacier cliffs, such as those of Neko Harbor, generate a sublime soundscape. And gentoo penguins stretch as far as the eye can see – including on Cuverville Island, for example, surrounded by drifting icebergs. One of the most impressive shipping passages in the world is the Lemaire Channel: mountains up to 1,000 m/3,280 ft high line the strait of water and seem to be almost within reach. The Neumayer Channel and Port Lockroy provide panoramic views of glaciers that are no less breathtaking. The former British research station is one of the historical sites of the Antarctic and has been transformed into a museum – only a handful of people live here to record first-hand observations of hundreds of birds and numerous penguins. 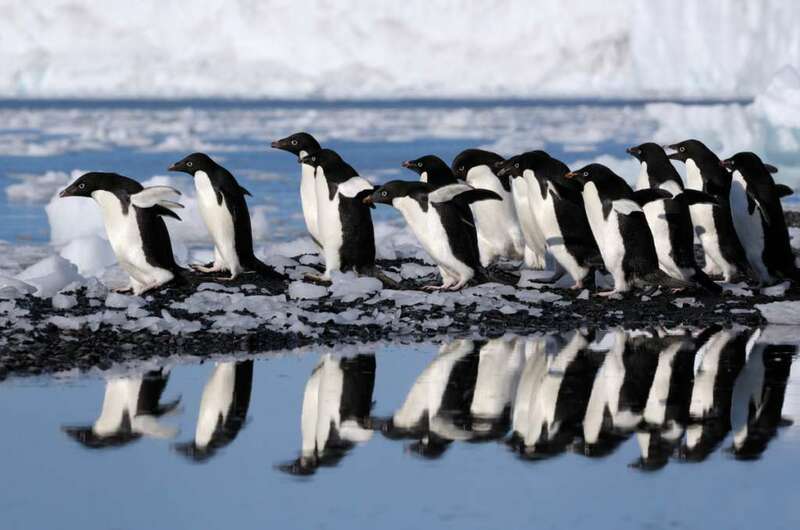 For more information on Antarctica expeditions, visit hl-cruises.com or more-than-ice.com.